A small home has its perks and pitfalls, but that doesn’t mean that a home of diminutive size cannot look amazing too! This Ideabook analyses some great décor ideas, tips and tricks to making your small home attractive, interesting and unique. These 5 apartments that we visit today although small in stature, are unbelievably bright, colourful and full of life… the perfect inspirational examples for the modern home owner. Now let's get excited about these fantastic revamp ideas! 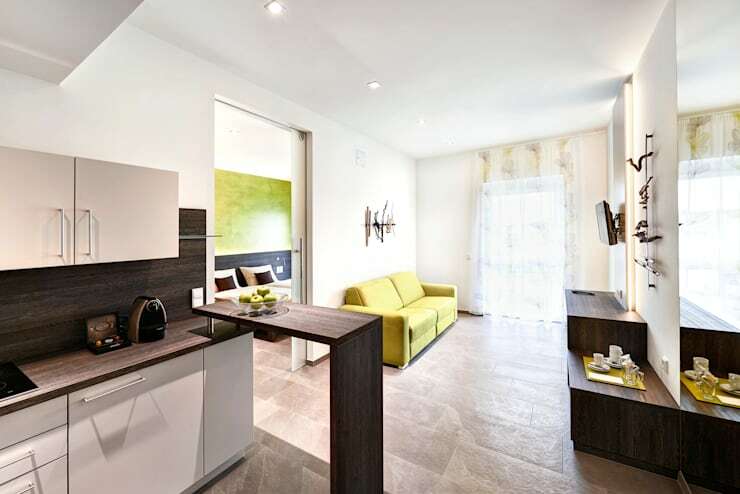 A two bedroom apartment is the most common small home for young modern couples. But that doesn’t mean that their home should be limited by the small size. Interior designers have recommended that with some creativity, a tiny apartment can be filled with bright ideas, style and sophistication. This lime green décor along with simple lines and accent pieces is perfect for the contemporary design of this apartment. Everyone wants comfortable sleeping quarters regardless of the size of their home. 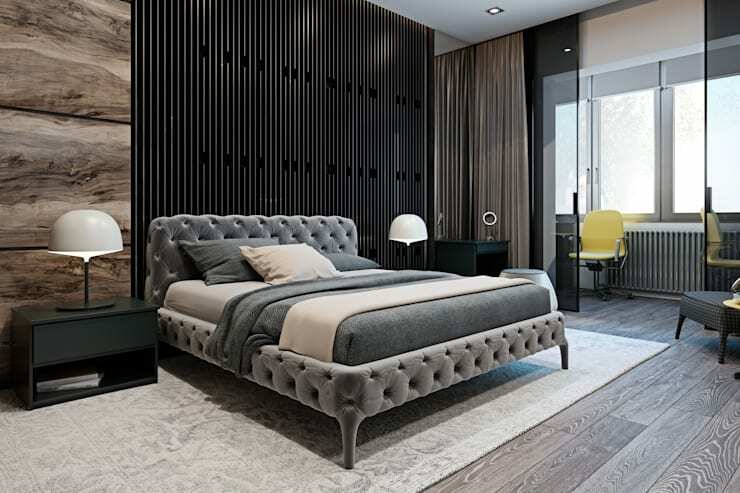 And while there are so many options available to create an elegant bedroom, a designer bed might be the most welcome in any home. A statement bed that exudes hotel luxury and style will definitely add sophistication to your small home. 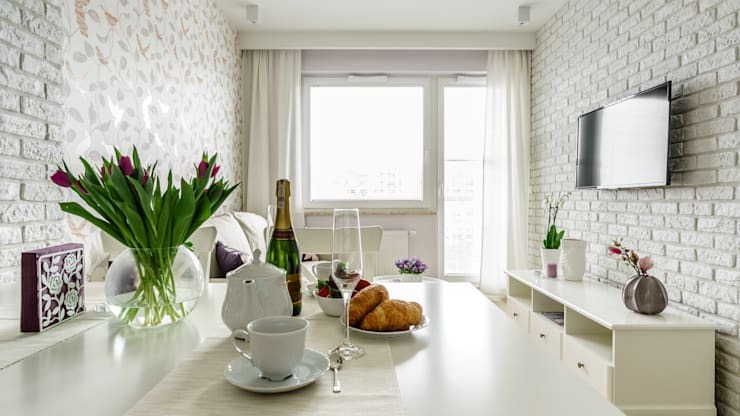 Excellent lighting and bright décor is a great way of creating an illusion that your little apartment is a bit more spacious than it actually is. Consider lighter colour curtains to maximise the amount of natural light that enters your home throughout the day. While a perfectly placed mirror will enhance the amount of natural light and ambient illumination too. A small bathroom is expected in a small apartment, but just because a bathroom is tiny, doesn’t mean it needs to look claustrophobic. By using a lighter colour scheme and décor your bathroom can look spacious, inviting and elegant! 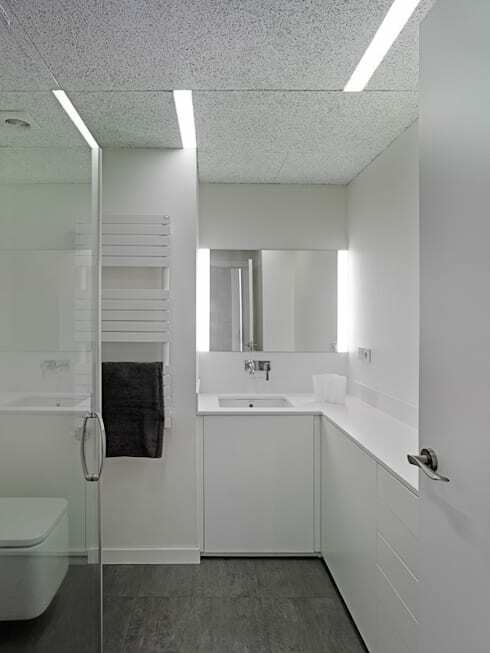 Another way to create an illusion of a larger bathroom is by adding a transparent shower door, this has an open effect that enhances light and space. Keeping your bathroom clean and neat will also accentuate the available area. 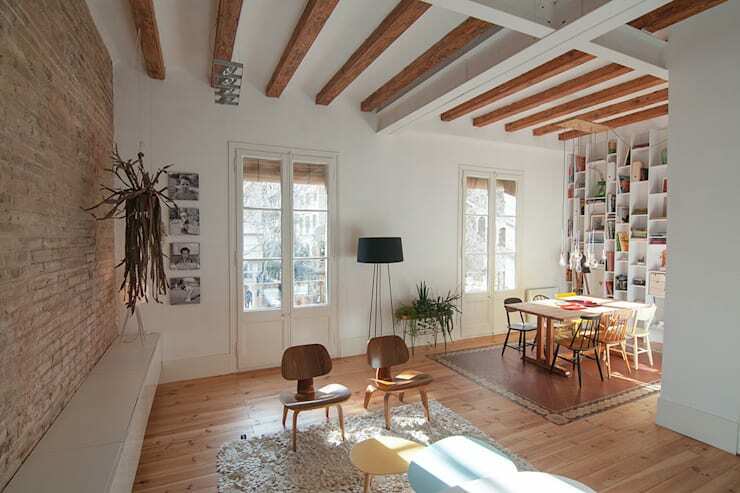 This old apartment has fantastic exposed wooden beams and flooring as part of the décor, creating a striking and attractive design element that is bright and interesting. However, in order to maintain this simple and uncluttered style, minimalist furniture is a décor must. By not overcrowding the room, the elegant design will remain a chic and stylish. Here are: 11 Ways to Beautify your Small Home Easily. How have you made your small apartment stylish and spacious?